You are here: Home / Misc / 30 Best Loved Recipes Collection part work: Should I buy? 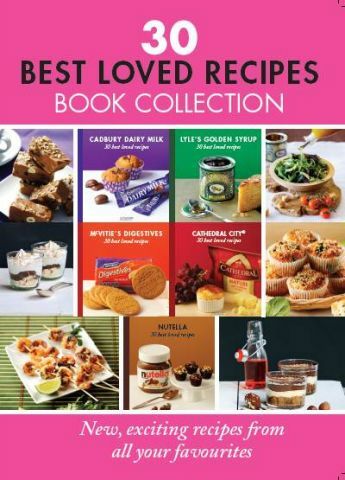 30 Best Loved Recipes is the latest cooks’ part work collection to be launched in the UK. How will it measure up to the French versions I have bought on holiday? 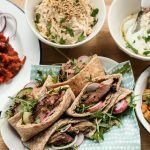 Last time part works reared their ugly head on here, I gave Baked and Delicious a bit of a savaging. There have been other part works on the market since which I’ve not taken the time to examine however the latest one shown on telly this Christmas piqued my interest. The first part at the bargain introductory price of 99p is two books together for Lyle’s Golden Syrup and Cadbury Dairy Milk. Dairy Milk makes me nostalgic. When I was 8 years old I helped my dad choose a Cadbury’s Dairy Milk cookery book for my Grandma’s birthday so this reminds me of that. The golden syrup volume is a bit yeah yeah, I know you can do that with golden syrup (flapjacks, butterscotch sauce, barbecue marinade) but it’s all well presented and good print and paper quality. In stark contrast to the flimsy Baked and Delicious I may add. The title of this part work is a bit incoherent – best loved by who? The French title translates as ‘worshipped’ or ‘adored’. Also seeing branded goods being featured in a format that is notorious for hooking subscribers in with no end date looks a bit dodgy. Are brands queueing up to have their product featured? Do they pay the publisher to get included? 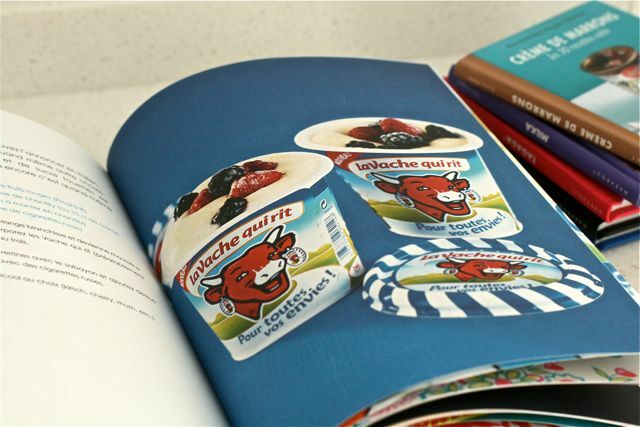 Do the books feature the brands’ PR fodder recipes (often naff as hell) or has someone independent created them? I can’t answer these questions for the UK version however I have cause to be optimistic this will be a fun series to collect. I already have several of these little books in French. 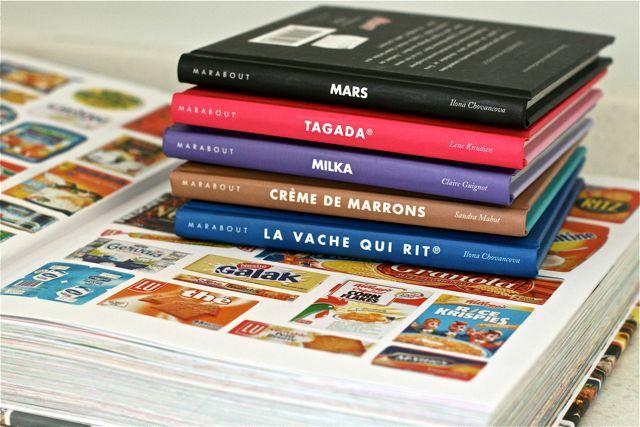 Across the channel, virtually every Maison de Presse sells these dinky little hardback books for 3€ each showcasing recipes with familiar branded goods. 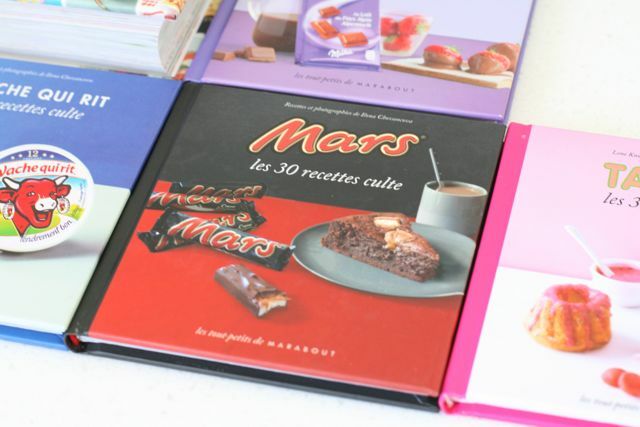 Les 30 recettes culte are published by Marabout, an imprint of Hachette, the same company selling the British part work version and so far as I can tell they are identical in format. France also has a very similar series called Les Marques Cultisimes (translation: worshipped or adored brands) but more of that in a moment. 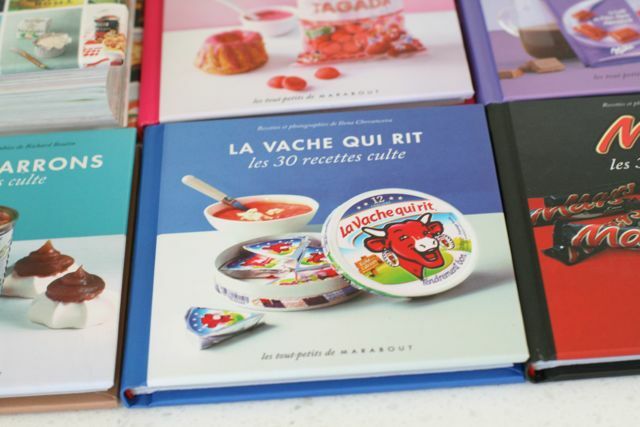 On holidays in France I have so far collected Les 30 Recettes Culte for Le Vache Qui Rit (Laughing Cow cheese), Mars, Milka, Tagada (spongy sugar covered strawberry sweets made by Haribo that you rarely see in the UK) and Creme de Marrons (chestnut puree). I LOVE them. I have longed for them to be available in the UK in English. In fact on a subsequent trip to France, I had six more in my paws at a motorway service station only to abandon payment when the cashier decided she was only the queue for fags and drinks and I didn’t have time to queue again. (My husband would not be amused if we missed our ferry because I was queueing up to buy cookery books). On my next trip to France, I bought this bumper volume of recipes from the similar series Marques Cultissimes. It was a bargain at 15€. 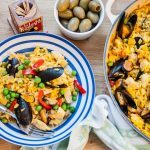 Marques Cultissimes recipes would appear to be created by one couple – I ought to have photographed the page in the book to show you really. 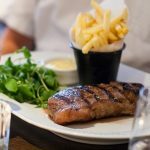 The 30 Recettes Cultes series being launched as 30 Best Loved Recipes in the UK would appear to be by different writers per product so I don’t know if there’s any connection to the brand with the writers. “Hey honey, guess what, I only bought one cookery book in France this time not six” is how I broke the news to my husband about my purchase. 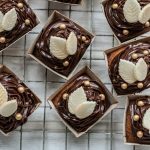 In both series the recipes can be a bit checklist – there’ll be an ice cream, a milk shake, a biscuit, crepes etc etc but the styling is really fun and each one gives you ideas how to use products you’ve probably not thought of. 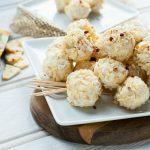 Making sweet stuff with savoury products and vice versa is a recurring theme. 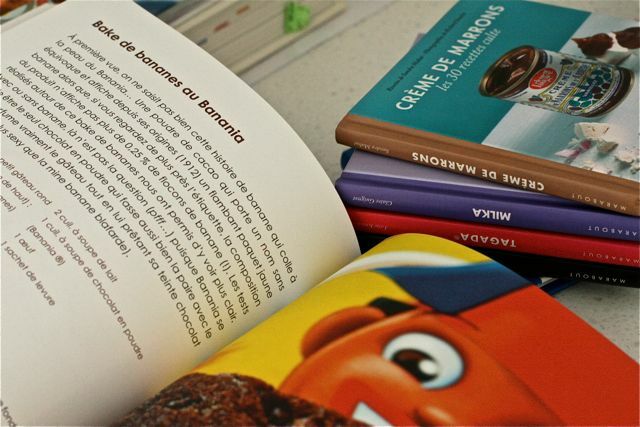 There are more sweet products in the series but some books such as ketchup and mustard are more savoury. The individual books’ pages are only about 15cm square so recipes are rarely complex. A few in each volume are no more than serving suggestions. So I am torn. Now they’re available in English do I collect them or not? I know what to expect – probably we’ll get translations of Smarties, Cornflakes, Heinz Ketchup. Nutella, Digestive Biscuits and Cathedral City Cheese are already confirmed in the UK series. In France there have been books for LU biscuits, carambar sweets, fromage frais, surimi crab sticks (a guilty pleasure of mine ok don’t judge me), a mustard I forgot the name of and heaps more. Some French ones are bound to be straight translations but most in the French series use products you don’t get here or which aren’t sold widely. They’re only 2.99 once the introductory period is over although I need to check what the cancellation policy is for subscribers. They’re a decent price for the size and content. There are neat ideas in them. I like that they’re a bit kitsch and trashy. They’re very Nigella Express. The French branded products such as chestnut puree are more glam than what they’ll probably use in the UK. Cathedral City for goodness’ sake? Hardly a unique ingredient. I’m being sentimental that these were a fun purchase on holiday and it won’t be the same buying them at home. There are dumb free gifts like you get with all part works. I know I will only take these to the charity shop: cool bag, cake tin, kitchen timer, measuring spoons. I hate part works and I’m annoyed they’ve brought them out in this format over here. I would have to collect ones I already have in French or don’t want. I don’t want a book about ketchup for instance. What to do, what to do. Can you help me make my mind up please?! The problem with these subscription series/ part works is that only the first 2-3 issues tend to appear in the shops – so unless you subscribe you won’t have anywhere to buy them. Probably random copies will appear on Ebay in time – or hopefully discount bookstores like The Works. I don’t think you can order a specific one off issue if you are not a subscriber – and if you aren’t a subscriber you won’t know when issues you want are coming out. I am in the US and we have little branded recipe booklets at grocery checkouts. I have a very hard time resisting them. But(!) if I go online to the companies’ website I can find all of the recipes for free. It helps to make a mental note of the booklet and then just go online. I would just go for it! £2.99 every couple weeks isn’t bank breaking. And you could always sell/giveaway the ones you aren’t interested in. Plus getting packages in the mail is fun! I think you’ve talked me into it – I hadn’t thought of the exciting post factor!! I think I’ve talked myself into it! ;0) will be interested to see what you finally decide! I’ve just bought the first part as it’s only 99p. They are cute, and great for the kids (OK and me; I’m a sucker for these sort of park works) Not sure I’ll bother subscribing though, but if I can pick them up in the newsagents, I’ll collect a few parts. Yes I agree with this one – at 99p you can’t go wrong. They’re decent little books. That is something we cannot know because it’s being sold as a part work. If it’s successful it will run and run! I am torn with these as well – totally wish you could just pick the ones you want. I have the Speculoos French one and its really good. I’ve seen the Speculoos one but didn’t get it as I have another (French) Speculoos book. I’m sure the first part will be around in the shops for a week or two. You can also subscribe online. At least they won’t take up much space! I know what you mean though. I’m torn between going to the shops right now this minute for the first ones, and just coming round to your house in the dead of night for the Laughing Cow book. I have altogether too many cookbooks as it is, but I need more. it’s important. Sounds like I’d better lock up my Laughing Cow book! I hope we don’t get disappointed by a DAIRYLEA version being pushed on us in the UK!! The British version looks a bit uninspired, but the French versions look fun! 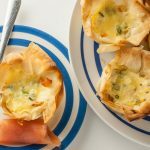 Any chance of blogging some of the recipes from the Vache Qui Rit and chestnut books? I was going to do a chestnut purée one over Christmas but ran out of time. Maybe soon! This is a very timely post Sarah. Oblivious to any TV advertising that’s been going on for this collection I saw Part 1 in the garage when I was paying for my petrol this evening, and thought that 99p for the two recipe books was a bargain, so grabbed it! I’ve been wondering about whether to subscribe or not. The books are lovely, and I like the format, but I don’t want to get trapped into just leaving the direct debit open whilst increasing poor books make their way to my front door. The other titles they have announced all sound appealing, but there’s going to be some rubbish in there as well, isn’t there? Do I really want EVERY book? The small print says that the subscription can be cancelled at any time by giving 28 days notice in writing, if that helps. No, I’m no clearer on what I want to do, but it’s nice to know other people are undecided too! The website gives an option to pay by debit or credit card although I presume this means you pay lump sum for a few months in advance. I think part of the attraction will be the surprise of which food stuff gets used next! I picked up the UK one today, although I am not a major cook, Ii just tend to cook little things and was hoping that this would spur some creative ideas for parties or gifts. I was fairly impressed with the first 2, and for £2.99, when many other continuing magazine/book products tend to be more, isn’t too bad. Hi Ryan, I agree 2.99 is much more reasonable than other part works and the content is way better quality than Baked & Delicious (which I really really didn’t like). I was a bit confused by the small print saying about charging 4.99 for boxes when the leaflet says you get one as a free gift. My conclusion is that – quelle horreur – you will later on need more than one box. Cripes! How many little books can there be?! In France I’ve seen about 25. I am lured in by these types of books by a few recipes that look worth trying but I often find the rest are a bit rubbish or appear on the various websites of the brands. Italians have similar which we discovered in Rome last year and I’d say they are better. I’d stick with the French ones – gives you an excuse to go over and shop! i think it seems best to just subscribe from the newsagents, I mean really do I need a free apron, egg timer, cool bag and measuring spoon set (all free when subscribing online) or more useful, when buying from the newsagent – get a free storage box for the books (rather than paying £4.99 for it) hmm…no brainer for me, I would rather get a free storage box with issue 2. I am strong! I will not partake in another foodie part work series! Well – that is until I’m standing in front of them at the supermarket and they just find their way into my trolley like all the other part work books I’ve bought. •	With your first delivery you will receive 2 issues (1 FREE), with your FREE food timer and FREE set of silicone measuring spoons. •	If you start with issue 1, please note you will receive your free issue and the above gifts with your second delivery. Your first delivery will be issue 1 packaged by itself. •	Thereafter you will receive 4 issues packed together every 4 weeks at a price of £2.99 (€3.99) per issue. (plus £0.25 postage and packing per issue in the UK. €0.50 for the republic of Ireland). •	With your 2nd delivery, you will receive your FREE apron (for people starting from issue 1, this will be delivered with your 3rd delivery). •	For direct debit, credit or debit card subscribers you will receive your FREE cool bag with your 2nd delivery (for people starting from issue 1, this will be your 3rd delivery). 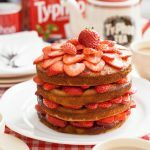 •	With your 4th delivery, you will receive your FREE cake tin (for people starting from issue 1, this will be delivered with your 5th delivery). •	Issue 1 comes at the special price of 99p. (€1.50). •	Issue 2 is priced at £2.99 (€3.99) with a free display box. •	Issue 3 onwards is priced at £2.99 (€3.99). •	Gifts are reserved for customers starting their subscription from issues 1, 2, 3 or 4. •	As a subscriber you will automatically receive display boxes as they become available priced at £4.99 (€5.99) each. •	You will automatically receive any special issues, though you will have the option to opt out of these beforehand. •	As a subscriber you agree to pay each invoice within 14 days. •	You are free to cancel your subscription at any time. You will be able to keep any free gifts and you will not owe any money for goods not yet delivered. I was torn. I started to leave a message a few days ago…and couldn’t decide on the advice to give….so i didnt give any. I love the french ones. What I wonder is, which of the treats do you get often? Will you let that guide you? 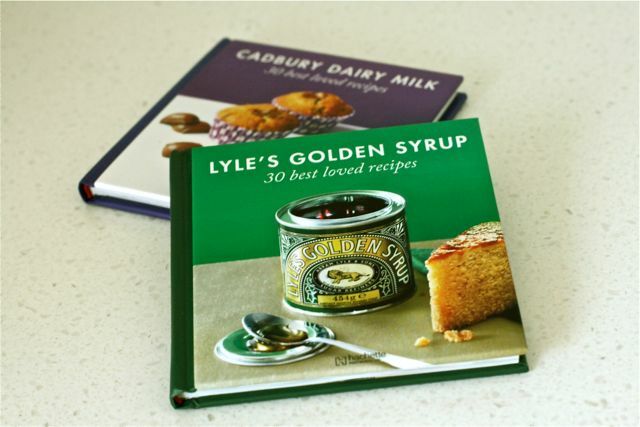 I am tempted by the Golden Syrup and the Creme de Marrons books. So what have you decided???? Hi Ozoz, I have decided to subscribe but suspect I’ll cancel once I have too many in a row that I don’t like. Having compared the Dairy Milk and Golden Syrup ones with the French titles I have, I do think the French recipes are more sophisticated and inspirational whereas too many of the UK ones are serving suggestions or very very obvious. Goodness I am now tempted to subscribe. What to do? I’m subscribing but don’t think I’ll go the distance of 80 issues. If I get too many dumb copies in a row I’m unsubscribing. I already have decided the French recipes are more sophisticated. After the first 2-3 deliveries you get 4 books every 4 weeks. Just to say, I asked the publishers how many books are going to be in this part series and they told me there are a planned number of 80 but they reserve the right to extend the series at any time without prior notification. Could end up being quite a substansive (and expensive) collection! Copies will creep onto Ebay but to my knowledge it’s not due to be in the shops. 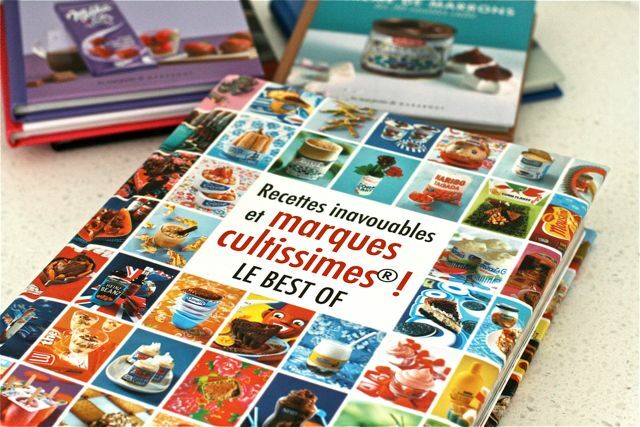 Mind you, I now discover that the French ones are on Amazon UK – search “30 recettes” for a list. Fair point – although I will say the content is way better and far more generous than a magazine part work like Baked and Delicious which had under 30 pages and cost more than this. Does anyone know if the second issue of this magazine will be available in shops – I’ve looked in a few so far but had no luck. I can’t see it being in the shops for more than a few issues, so if I want it it seems subscribing is the only option, which I’m a bit iffy about having only seen the first two books, of which I had a mixed opinion – Some of those entries are considered recipes?! I dislike that you have to pay £4.99 automatically for boxes to store the books – especially as they’re not things I’d use. And publishing 80 issues? Take away issue one and the free issue you receive when you subscribe you’re looking at costs of around £233.22 for the remaining 78 books – and not including postage or anything else. So as for subscribing I’ve no idea. Any suggestions for what I should do? You can always cancel your subscription after a few issues if you’re not impressed. I imagine very few people will persevere for 80 books intentionally – more like apathy to stop the direct debit! If you’re not collecting them at least every other week I don’t think the newsagent will be very happy… although maybe if they know you well it would be ok. I cant find the website can someone hel pme with this please? I cant find it in the shops!!! x. 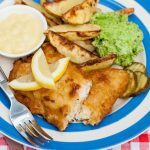 Just google 30 best loved recipes and it’s top of the list. Has anyone got their first copy after subscribing??? I’ve bought them so far but I don’t know whether to continue. It depends whether you like the sound of the ingredients or not. Trouble is they’re sealed in the shop so you don’t know what recipes you’re getting until you buy it and open it up. I can’t see me buying a book just on ketchup somehow! I’m just buying them in the shops. I think 8 are out now. Just buying the ones I want though. I haven’t bought the nutella one and the mustard one is out this week so didn’t bother with that. Got the danepak bacon one, but wasn’t too impressed with that. I don’t see the point in subscribing as there will be some where I don’t like the product and some I don’t want and if they stop selling them in the newsagent then I don’t think I’ll bother buying anymore. And this week was black treacle. Hi, if you are still in need of the smarties book, then why dont you try on Ebay, as you never know, maybe someone will have been collecting every issue so far then decided to sell them as they dont want them anymore or they decided to collect them for the whole idea that thy can then re sell them and make some extra cash themselves! You never know you might be in luck! I hae got every issue which has been sent to me so far, I have now got a tiny space at the end of the box which they sent me waiting for some more to arrive, Im not sure what they’ll be however I look forward to recieving them! No idea. I expect this is a moving feast depending on how long they can sustain brands providing the material. There is 80 in the set, does anyone know what number we are up to, the one with the Christmas book in was 44, 45, 46 and 47. have there been any more since? No idea. Ebay is probably good place to look!